While all moving projects can be complicated, cross-country moving is usually more challenging than moving to a nearby city or town, no matter the size or scope of the move. Even a local move requires a lot of preparation to go off without a hitch, which means that interstate and other long-distance relocations require considerable organization and planning. One aspect of relocating across the country that can be particularly challenging is deciding what to do with your vehicle. Moving a car from one state to another isn’t always as simple as it may seem, and finding an efficient, affordable, and quick way to do it is usually at the top of anyone’s list when planning a relocation. At Griffin Moving & Storage, we’re experts at planning local, long-distance, cross-country, and international moving projects. If you’re trying to figure out how to move a car from one state to another, take a look at some of our cross-country movers’ favorite methods of making the process fast and easy. Are you up for a road trip? If you’re not in a rush and you enjoy driving cross-country, the simplest way to move your car from one state to another is by driving it the distance yourself. Some homeowners fly to their new residence to transport their belongings, and then they fly back to get their car. Meanwhile, other homeowners choose to drive their car to the new location from the onset of the actual move. This works better if there are long distance movers who will take care of transporting your other valuables. While you’ll still have to pay for gas and car maintenance, snacks, meals, and a possible hotel stay or two, driving the car yourself is usually the cheapest option on the list. Keep in mind the possibility of wear-and-tear on the car, the time it’ll take away from your work or other responsibilities to calculate the real cost of driving yourself and whether it’s worth it for you. Probably the most practical and hassle-free way of moving your car is by hiring an auto mover which involves transporting your vehicle to an open or enclosed truck just like when a new car is delivered. Contrary to common belief, hiring an auto transporter is not very expensive. In fact, availing such services can lead to cost savings because the stiff competition in the industry prompted auto shipping companies to offer the most competitive prices. This is, of course, good news for you as a homeowner looking to move to another state. Because the staff of such service providers is experienced in this task, you can be sure that your vehicle is handled with utmost care throughout the entire journey. The cost of transporting your vehicle across the country varies depending on the company you hire. However, generally, the factors that determine the cost of the estimate include the distance, operating condition, your vehicle’s make and model, insurance coverage of the service provider, the size and weight of your auto, as well as the scope of the services that the cross-country moving company will provide. Before you sign a contract with an auto mover, make sure that you do your research and clarify all questions or concerns that you may have. Take the time to check the permits, licenses, and other credentials to ensure that your vehicle is safe. 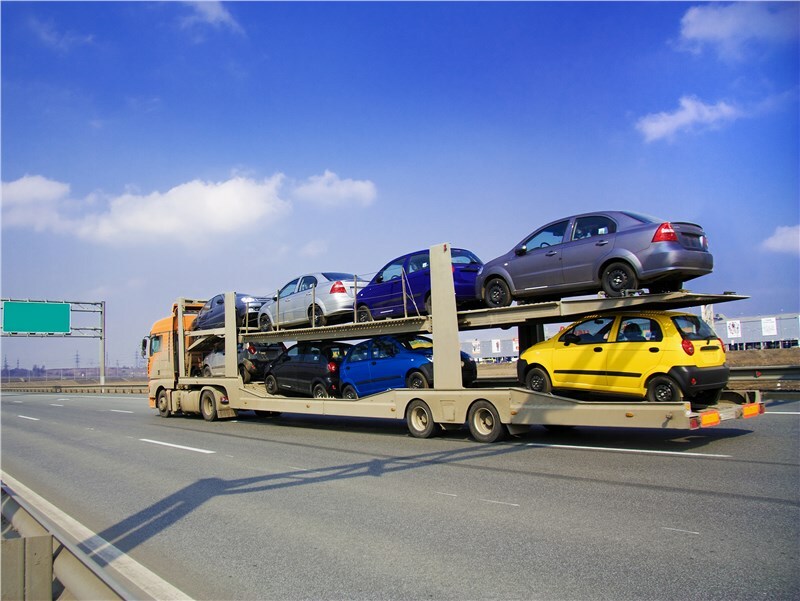 If you are looking for more tips on how to move a car from one state to another, Griffin Moving & Storage can help. Our long-distance movers are ready to share our expertise in moving and storage logistics and can help you find the best method for transporting your vehicles across the country or even around the world. To get in touch with one of our representatives today, give us a call over the phone. You can also fill out this online form to know more details about our services and to get a free, in-home, no-obligation estimate and consultation for your moving project now.